Andrews, known for his work on British Airways' "Magic of Flying", winner of the 2014 Cannes Lions Grand Prix, will lead Possible London's entire creative function. He will report to chief executive Chris Daplyn. "The industry is going through significant change. Technology is changing the way we live our lives and to help our clients cut-through in this shifting landscape we decided to put creative technology at the top of our business," Daplyn noted. "Jon was a natural choice to lead this effort. He is a unique combination of digital maker and storyteller who will help us create digital experiences that consumers actually want to engage with." 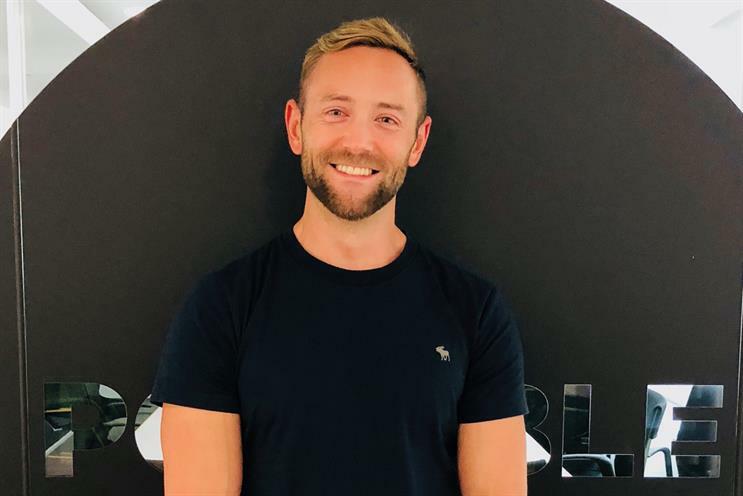 Andrews has previously held roles as head of creative technology at Bartle Bogle Hegarty London and Mother, head of innovation at Ogilvy and, most recently, group creative lead at R/GA. "[Jon] shares our belief that a brilliant, big idea will beat any data lake of predictions. He also shares our passion for making things – prototyping fast and iterating to get to the best creative solutions faster. We’re thrilled to have him in the team," Daplyn added. At Possible, Andrews will be working with a list of clients that includes Adidas, Aston Martin, Specsavers and HSBC. "I’ve spent 15 years in the agency and start-up environment, learning to fuse the worlds of creativity and technology despite their rapid rate of change. Possible has a proven track-record of doing the same, so this is a real opportunity to take our ideas to the next level," Andrews said.